Mirror Mirror presents works in a variety of media from thirty-two international emerging and established artists and one artist collective: Manuel Acevedo, Zoë Charlton, Paolo Cirio, David Antonio Cruz, Kevin Darmanie, E.V. Day, Leah DeVun, Nona Faustine, Tatyana Fazlalizadeh, Anne-Karin Furunes, Phyllis Galembo, Chitra Ganesh, William Kentridge, Riva Lehrer, Ani Liu, Jessamyn Lovell, Hyphen-Labs (Carmen Aguilar y Wedge, Ece Tankal, Ashley Baccus), Peggie Miller, Anna Ogier-Bloomer, Polixeni Papapetrou, Patricia Piccinini, Wendy Red Star, Faith Ringgold, Kevin Blythe Sampson, María Verónica San Martín, Leo Selvaggio, Laura Splan, Dread Scott, Beat Streuli, Arne Svenson, Shoshanna Weinberger, Deborah Willis, and Martha Wilson. 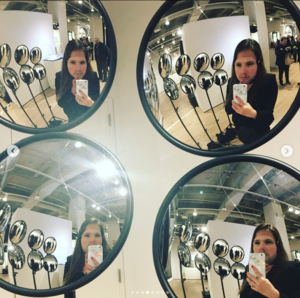 Mirror Mirror plumbs the relationship between identity, cultural norms, and representation. In the most abbreviated of forms, a portrait is a depiction of a person, usually a face, occasionally a torso, sometimes more of the body, or even a symbolic presentation of an aspect of an individual’s character. The artists in the show have approached the subject of portraiture in a multitude of ways. Historically, portraiture was utilized in service of the ruling classes, and some of the works in the exhibition explore the machinations of the powerful, touching upon the fraught histories of colonialism, slavery, American inference abroad, and eugenic practices. Photography is presented in both documentary modes and as a means to deconstruct representations of femininity, adolescence, and motherhood. Other artists work in non-traditional media, exploring the portrait painted by our data and bacteria, and radical possibilities of self-invention through new virtual and bio technologies. 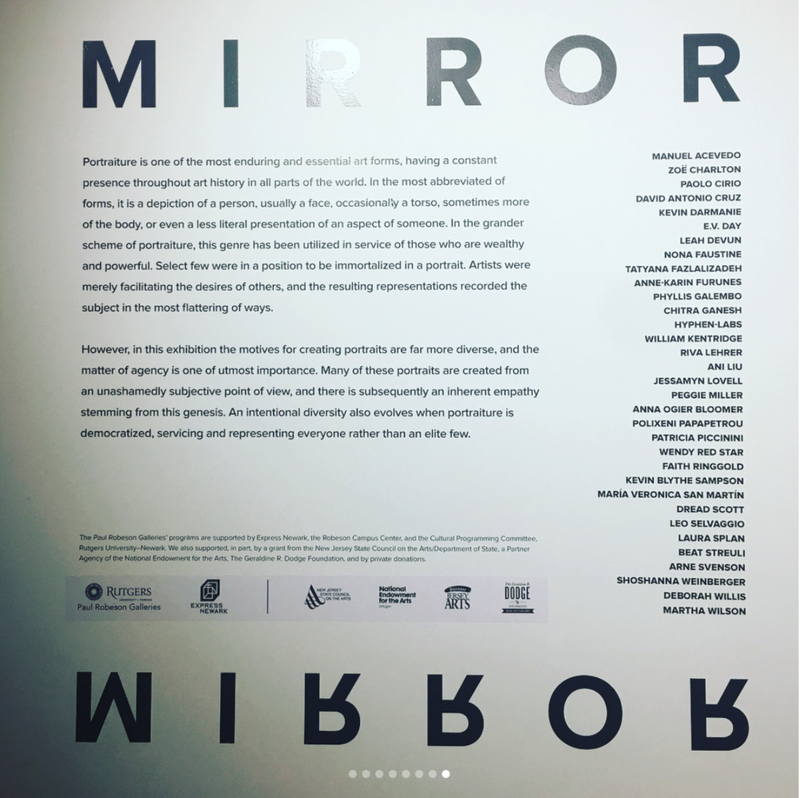 Taken as a whole, the works in Mirror Mirror communicate the connected nature of representation and self-determination.